Celebrate Chinese New Year in Chicago! The city will be ringing in the Year of the Pig from Feb. 4 - 17 with a variety of cultural, musical and culinary events. Chicago Symphony Center, Orchestra Hall, 220 S. Michigan Ave. Celebrate the Chinese New Year at Symphony Center&apos;s fifth annual concert, featuring the internationally renowned China National Peking Opera Company and the spectacular Hubei Chime Bells National Chinese Orchestra. With special appearances by Peking opera superstars Yu Kuizhi and Li Shengsu, the China National Peking Opera Company presents a dazzling combination of vocal artistry, costumes and acrobatics in three classic scenes. Opening the concert is the Hubei Chime Bells National Chinese Orchestra, honoring centuries-old musical traditions performed on exact replicas of the ancient Imperial Bells of China. Enjoy music, storytelling, art-making, games, and talks highlighting Chinese art in the museum&apos;s collection to celebrate the Chinese New Year. Also known as the Spring Festival, families and friends will gather together to share mutual wishes for well-being and prosperity. Head over to Maggie Daley Park after 5 p.m. for more crafts and New Year&apos;s activities. Celebrate the Year of the Pig with a Lantern Procession through Millennium Park and Maggie Daley Park. Join in the fun as the lantern procession starts in Millennium Park and makes its way to Maggie Daley Park. The procession will be followed by more New Year&apos;s activities in Maggie Daley Park, including a lion dance, art making, and ice skating led off by skaters from Figure Skate Chicago. Presented in partnership with the Art Institute of Chicago, Chicago Park District and Choose Chicago. Photo by Jenny Lam. Celebrate the first day of the Year of the Pig with the Chinese Fine Arts Society at the Citywide Chinese New Year Kickoff! Enjoy a multi-arts performance featuring Lion dancers, Silk Road pipa master Yang Wei, martial arts, the award-winning Flying Fairies dance troupe and, direct from Beijing, special guest artists the China National Peking Opera Company offering a sneak peak of the comedic and acrobatic “At the Crossroads,” a famous opera based on a story from Water Margin, one of the great novels of Chinese literature. Experience exciting NBA action, non-stop entertainment and the energy of a sold out crowd! Come see the Chicago Bulls as they battle the New Orleans Pelicans. In celebration of Chinese New Year, there will be pre-game and on-court entertainment throughout the game. On this special night, all Chinese families and friends have the opportunity to purchase Chicago Bulls tickets at a discount using the discount code NEWYEAR. Join Chinese Fine Arts Society artist-in-residence and Silk Road pipa sensation Yang Wei for a special performance and music lab in celebration of Chinese New Year. Yang Wei will perform on the pipa and then audience members will get hands on learning to play the Chinese instrument in GarageBand using iPad. He will then integrate music created by the audience into an improvisational work. During the program, calligrapher Yijun Hu will write Chinese characters in response to the music performed. Opening the Music Lab, the Sound-of-Wishes Ensemble will perform on a trio of guzheng, a 21-stringed Chinese zither. The annual Argyle Lunar New Year Parade is a decades-old local tradition. Come for music, colorful lion and dragon dancers, and a processional of local groups and floats starting near the Argyle L stop – all to celebrate the start of the Year of the Pig! Join Alderman Harry Osterman, Uptown United, and the Argyle business community for this special event. Drawing more than 30,000 spectators annually, this Lunar New Year Parade takes place in the heart of Chinatown. Join the crowds in celebration of the Year of the Pig as the procession travels north along Wentworth Avenue from 24th Street up to Cermak Road. Along the way, don&apos;t miss the marching bands, colorful floats, and traditional dancing lion and dragon teams. Navy Pier, Aon Grand Ballroom, 600 E. Grand Ave. This annual event is free and open to the public. Come to the Aon Grand Ballroom at Navy Pier for an afternoon celebration of Chinese New Year, featuring live dance, music, and other performances, plus traditional food, crafts and more. This annual documentary festival showcases films sourced directly from mainland China based cultural or media organization. The fourth edition of Arts & Culture Docs Fest will premiere select episodes from the This is China documentary series. The series consists of six episodes that reflects the mainstream of development and progress of contemporary China, but also explores the essence of traditional Chinese culture with the objectives of cultural exchange and mutual learning. Fashion Outlets of Chicago shoppers can enjoy a special Chinese Lunar New Year event on Saturday, February 2 to celebrate the Year of the Pig. In partnership with the Xilin Association, the shopping center will host a variety of festive games, activities and cultural performances in its food court from 1 - 3:30 p.m. In addition, shoppers are invited to visit Concierge Services from Feb. 2 - 17 to receive a festive red envelope containing vouchers for complimentary luggage and shopping bag hold, exclusive Lunar New Year retailer offers and a Year of the Pig Savings Pass, providing up to $800 of in store savings. Celebrate Chinese New Year 1,000 feet above The Magnificent Mile®! Enjoy spectacular sky-high views of the city lights and frosty lakefront at 360 CHICAGO. Download the coupon below for a free ride on TILT, Chicago&apos;s greatest one-of-a-kind thrill ride! Lunch, 11:30 a.m. – 2 p.m. (available Feb. 1-5 only) / dinner, 5 p.m. – 10:30 p.m.
Shanghai Terrace at The Peninsula Chicago, 108 E. Superior St.
Shanghai Terrace will offer a set seven-course menu in celebration of Year of the Pig. The specialty menu created by Chef de Cuisine, Elmo Han, includes dishes such as golden shrimp, Australian red abalone, five spiced duck and Shanghai Terrace XO beef tenderloin. The menu is available for US$158 per person (excluding tax + gratuity), guests may add wine pairings for an additional $88 or tea pairings for an additional $38. The Lobby at The Peninsula Chicago, 108 E. Superior St. Celebrate the Year of the Pig with a special Chinese New Year themed afternoon tea in The Lobby. Enjoy traditional scones, tea sandwiches and desserts among the festive décor. Available at US$85 per person including a glass of Champagne (exclusive of tax + gratuity). On Saturday, February 9th, guests will enjoy a traditional Lion Dance in the Lobby and dining room. The Shops at North Bridge, 520 N. Michigan Ave. The Shops at North Bridge shoppers can enjoy a special Lunar New Year kickoff event Sunday, Feb. 3, from 1 – 3:30 p.m. A variety of free games and activities will be offered at 10 different booths throughout Level One of the shopping center alongside cultural performances presented by the Huaxing Arts Troupe. Visitors can also take advantage of additional Lunar New Year savings by visiting The Shops at North Bridge’s Concierge Services between Feb. 2 -17 for a celebratory red envelope containing exclusive retailer offers. The Year of the Pig is right around the corner! The Chicago Chinese Cultural Institute is happy to present the 15th Annual Chinese New Year Dumpling Making Dinner, as it has always been one of the most recognized traditions of the Chicago Chinese New Year celebration. The events will include dumpling making, storytelling, a lion dance, and a 10-course traditional Chinese meal. 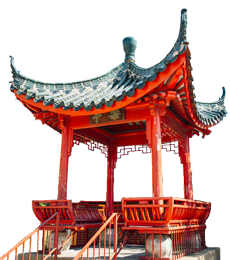 Chicago&apos;s Chinatown is one of the largest neighborhoods of its kind in the US, and its culture is reflected in the art and architecture, specialty shops, authentic restaurants and community landmarks. 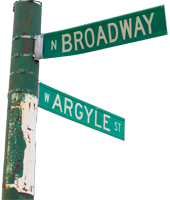 In Uptown on Chicago&apos;s Far North Side, a vibrant blend of Chinese and Southeast Asian cultures add to the ethnic diversity and historic character of this community, the heart of which can be found along Argyle Street.